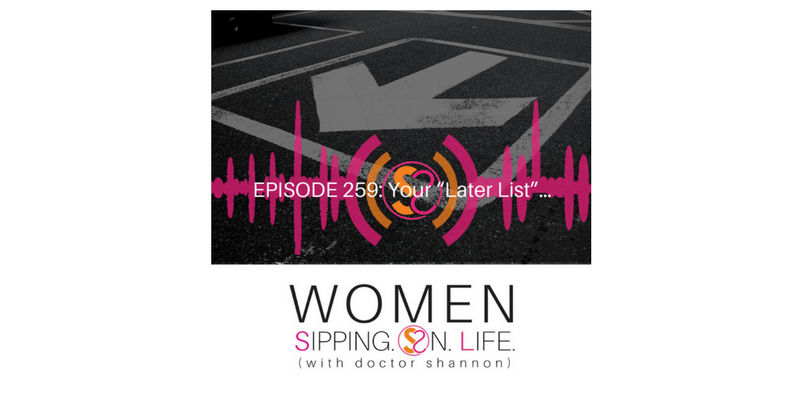 You have a “List.” I have a “List.” But are you LISTening to what your list is telling you? To Do. To Day. To Now. To Later. Whatever your “List”…what matters most is why you’re “Listing” in the first place, and why you’re not LIVING…first. As I was preparing my day, I grabbed one of my favorite pens, and a brightly colored planner — bright yellow to be exact — and I began to make a list of plans. However, while I wrote, I began to think about WHY I was doing WHAT I was doing. What made the list and what didn’t? It got me thinking. It got me wondering about YOU. What’s the vision for this mission? Why are you putting it on a list versus putting yourself in action. 2. Does it really matter? 3. Do I believe in this? 4. Do I love this? 8. Am I really committed? Take a look at your LIST today, especially your “Later List,” and get very honest with yourself as you answer the above 8 questions.